Recipes « Cooking With Grandmothers Cooking with Grandmothers records, gathers, and shares the recipes, food traditions, and wisdom of female elders from around the world. 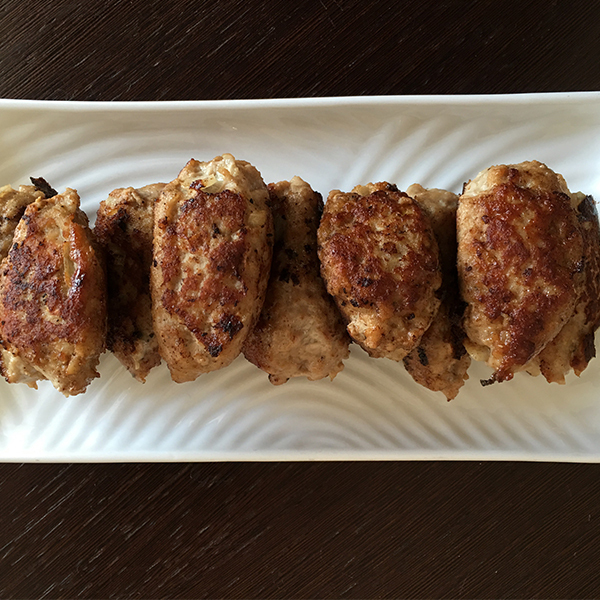 Frikadeller (Danish pork meatballs) are one of those quintessential foods that almost every Dane, young or old, knows how to make; children are even taught how to make them in school. Anne's frikadeller, however, are particularly special; she uses an handheld electric mixer to beat the ingredients together, producing an exceptionally fluffy meatball. The airy flesh of the ubiquitous russet potato makes it the perfect choice for gnocchi. 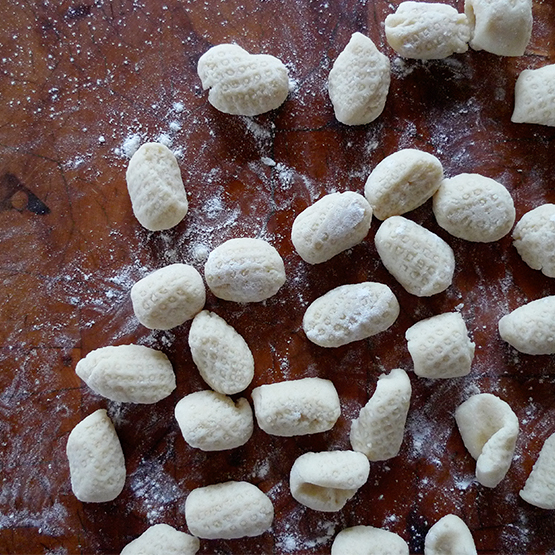 To create light, pillowy gnocchi, make sure that your dough is neither too wet nor overworked. Armida uses the fine markings of the back of her cheese grater to mark the gnocchi; I recommend using the fine side of a box grater to do this, or forming the gnocchi and running them along a wire whisk to mark them. The gnocchi are wonderful with Armida’s easy, rich ragu. They are also delicious with a simpler dressing of melted butter and grated cheese. 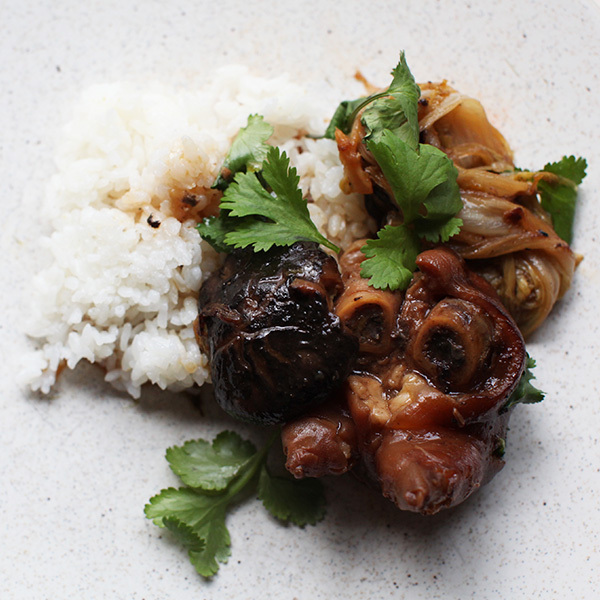 These succulent braised pigs feet were a regular meal in Mrs. Lee Sin's house. Naturally high in collagen and gelatin, they also nourished her family, keeping their digestion and joints healthy. The pigs feet were always served with perfectly steamed white rice, and can be garnished with cilantro. We would love to send you wonderful stories, recipes and more. 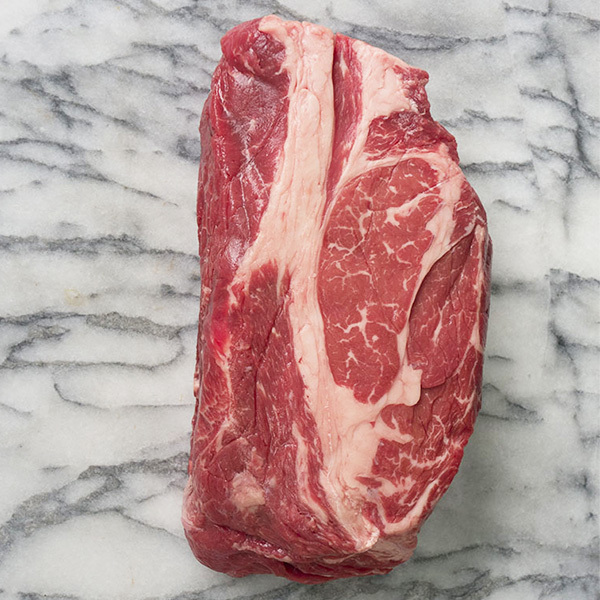 Sign up below to receive our exclusive cooking tips PDF!